Lead, Nickel & Cadmium Free!! 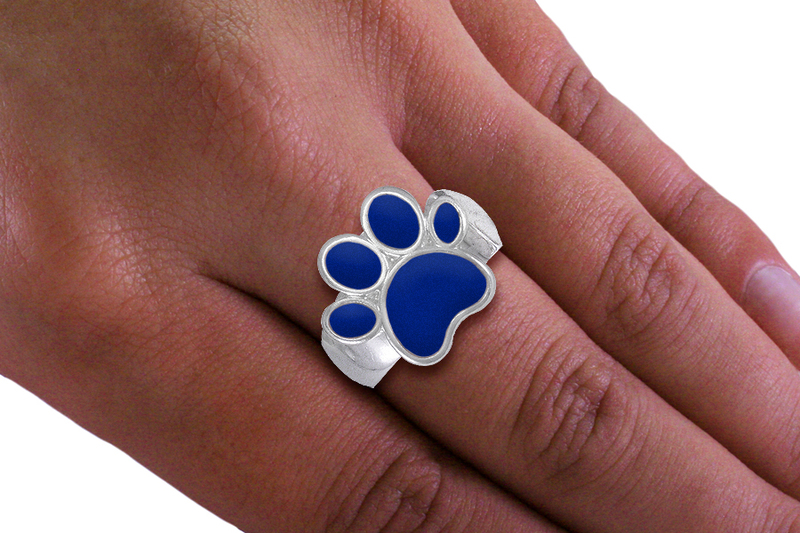 Beautiful Silver Tone Stretch Blue Paw Print Ring Available In Several Colors! Ring Is Stretch And Fits Most Size Fingers. Ring Is Stretch And Fits Most.